Keep your family album updated with high quality photo prints from Photobucket Print Shop! We offer a full selection of print sizes and other custom options so you can print your photos, your way! Order online or from your phone and have stunning prints delivered right to your door for any occasion! If you’ve been looking to print cheap photos online, you’ve come to the right place. Upload your photos, select your print sizes and customize each picture’s cropping before placing your order. Order 4×6 prints, 5×7 photos, and cheap 8×10 photo prints printed with the boldest, most vivid colors. We offer an array of photo paper options and classic white borders for a vintage look. With just a few easy steps, you can print snapshots from your phone, order Facebook prints, or print wallet size photos to share your memories with family and friends. Don’t forget about our photo enlargement prints! They’re ideal for framing on your wall and also make great gifts for family and friends. Maybe you took a beautiful picture of a sunset at the beach or you have a cute snapshot of the kids saved on your phone. Enlarge them on a 16×20 or 24×36 poster print and showcase them in a stylish frame to add a little color to your décor. In addition to classic 4×6 photos and poster enlargements, Photobucket Print Shop also offer cheap square photo prints! Upload Instagram photos and have them printed to fill up your album or dress up your wall décor with a fond memory! We have four sizes which you can crop yourself to artistically feature your photo’s subject! Glossy and matte prints are a tried and true classic! At Photobucket Print Shop, we also offer other options including metallic photo paper prints and fine art matte prints. They’re a whole new way of experiencing your favorite images and they’re great for framing to add interest to your home décor. 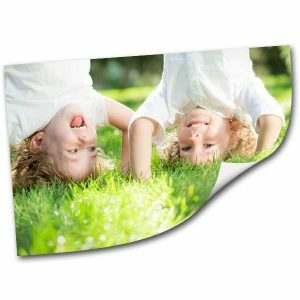 Our ultra high glossy photos are printed on metallic photo paper giving them a pearlescent finish, striking luminosity and a vivid three dimensional appearance. Our ultra matte photo prints are perfect if you’re looking for rich, saturated colors and bold contrasts. Both options are available in a whole range of sizes for any photo printing project! If you can’t decide on just one photo to frame on your wall, why not make your own photo collage print. Our poster collage wall art is available in multiple layouts and templates so you can create the perfect decor to commemorate your favorite moments. Print photos from your phone on your own collage in minutes, and have them conveniently delivered right to your door! 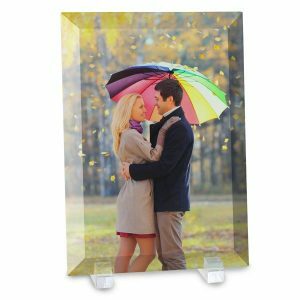 Like the look of photos on canvas in addition to traditional photo prints? Photobucket Print Shop also have photo collage canvas prints too which are a great way to feature a grouping of your favorite photos in elegance! Create your own Instagram photo poster to bring your social media memories to life! Log into Instagram, pick out your best photographic moments, and upload them to Print Shop to get started. We offer several sizes and layouts which let you display up to 77 Instagram photos on one collage! Furthermore, you can select from an array of backgrounds to compliment your pictures. Or, order 12×12 photos and frame them on your wall! Turning your Instagram treasures into wall art has never been this easy! 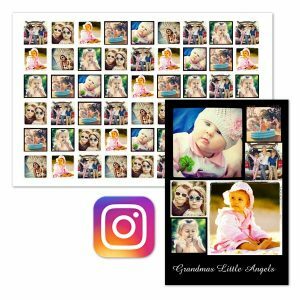 In addition to Instagram collage prints, you can try our 8×8 glossy photo prints! They’re the perfect size for framing your Instagram memories on your wall or showcasing in your favorite family album! Photos are the easiest way to add your own personalized touch to any nook or cranny in your home. In addition to enlargements and photos printed on canvas, we have beveled glass photo prints, and acrylic block prints to show off your remembrances in a contemporary way! Both our photo glass prints and acrylic prints are guaranteed to bring a little life to your décor shelf, side table or desk at work. Print your favorite wedding photo, hiking trip picture, or kid’s little league photo and admire it each day! Print your own custom scrapbook pages to keep your memories alive! 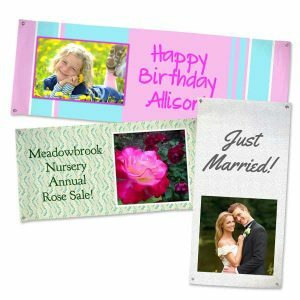 We offer three sizes and loads of templates so you can show off your photo the way they deserve. Add text to include captions, names, and more and keep your scrapbook current. The best part of all is that you don’t have to deal with the hassle of scissors, glue, and tape. Just upload your pictures from your phone or computer and begin building your scrapbook prints in minutes! Looking for classic, custom photo albums instead? We have those too in a range of styles, sizes, page layouts, templates, and more. Just like our scrapbook pages, you can upload your pictures to get your masterpiece started and highlight your memories in style! Forego the old hammer and nails and order peel and stick photos to effortless brighten your home with a blast of color and character. They can be applied in minutes or removed without any damage to your walls! Adhesive prints are perfect for recreation rooms, play rooms, or your kids’ bedrooms. Upload photos, art work, or create a collage of your favorite moments to spice up any drab wall around the house instantly! Whether you want to share your photos with friends, keep your family album updated, or decorate your home with life’s best moments, Photobucket Print Shop is the best place online to print your photos! We offer cheap prices and the highest quality results to keep you satisfied! As you can see, we offer a huge variety of options for all of our custom photo prints. You can begin any project by simply uploading your photos from your laptop or phone! Gather your digital pictures from your smart phone, scan some older photographs or create your own art work and make your own custom printed masterpiece that you can enjoy year after year!